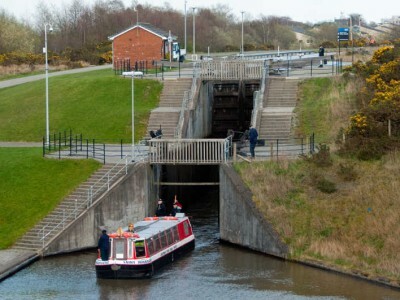 The boat trip is a four hour cruise on Saint Magdalene along 12 miles of the Union Canal going over the Avon Aqueduct, through the Falkirk Canal tunnel, the Falkirk Wheel locks and a transit through the Falkirk Wheel. After this there is time for about an hour at the Falkirk Wheel Visitor Centre. 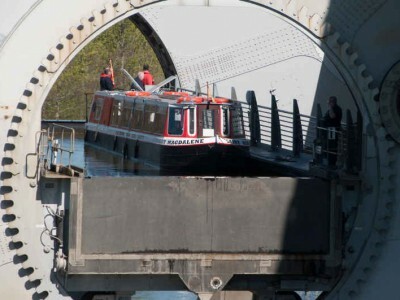 Points of interest are described in the LUCS Guide to the Falkirk Wheel Cruise. Information about this Cruise is contained in the Falkirk Wheel Cruise Guide. Price is £30 (no concessions) which includes Tea or Coffee and Baking. Advance booking is essential and you can use the LUCS Booking System to book and pay for a 2019 Cruise by PayPal, Credit Card, Cheque or LUCS voucher. 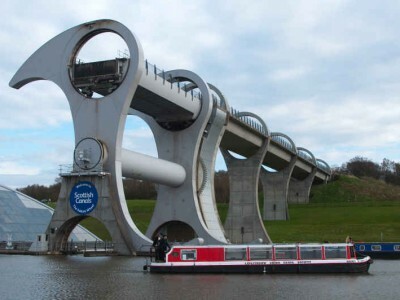 Gift Vouchers: If you are thinking of a novel present for Christmas, a birthday, an anniversary or any other occasion, LUCS can provide gift vouchers for the Falkirk Wheel Cruises.Aqueduct Cruises. 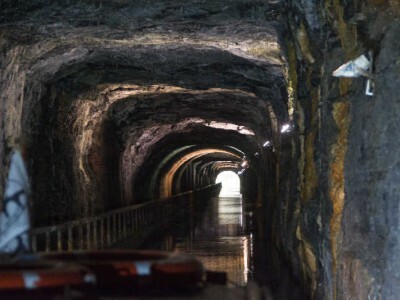 The gift voucher can also be used for Town Boat Trips, Aqueduct Cruises, the hire of Victoria or St Magdalene with a driver and crew and the hire of the self-drive boat, Leamington. To make an enquiry please contact LUCS at – bookings@lucs.org.uk.